Now that Summer is here, moms are frantically searching for activities for their children. We don’t want our children plopped in front of the TV with a console in hand nor do we want them after us crying that it is so boring! I know I am the rare mom who loves Summers. It took me a few crazy days a few summers ago to realize that this can actually get fun if managed right. Summers are perfect opportunities to reconnect after all those busy days of school. They are great for quality times and memories. But you know kids… they want to do something constantly. How do you find ideas to keep theme busy? Summer camps is a great idea but with the heat, do you really want to send your child outside? Theme parks are great alternatives for a day out but… that’s once in a while. How do you keep the kids busy every day? Paper for crafts: I do a lot of 5 minute crafts at home. Simple stuff like origami is what works for us as my kids are different aged. Do you remember growing up with cootie catchers? Do your children know all the ways to play with them? What about paper snowflakes and Chinese lanterns? It is so simple… just takes two minutes for us but the kids.., they will play for hours (if not days!!) with it. Make your own play recipes like play dough, slime, poster paints, etc. The ingredients are probably in your pantry already. If you have older children, double the fun by involving them! This year before Ramadan began, my children helped me make Rooh Afza and Vimto Playdough. We played with it all through the month and still have it in our fridge! Get a few play dough tools, show them how to play and you can safely walk away. –Get our play dough mats from the Resource Library. Slime is everyone’s favorite these days. Older children are crazy about it! We have so many versions! –Try this two ingredient no mess recipe. Edible playdough and finger paint can be so much fun with babies and toddlers. We’ve made some pretty memories while playing with it. I am not talking about worksheets! Printable games and activities are my children’s favorite. I have been using them for years with my tots but there are some really fun ones that even older children can enjoy. You can have printed puzzles, board games, learning letters and numbers, crafts… there is no limit to the ideas. I have created a free Summer Printable pack for kindergarten and PreK for my subscribers. Join here if you’d like access to my Resource Library. 4. Chores are called Family Contributions in my family. The best way to keep the kids away from trouble is to ask them to pitch in. I love chores for kids. My children love doing them too. The game changer in our home was when we started using the term ‘family contribution’ for the word chores. Kids feel empowered and a sense of belonging when they contribute in this way. They feel part of a team and understand that they are responsible members of the family. They started feeling respected and ‘grown up’. 5. Travel… even if it is just in your city. Every weekend, my husband takes our son to a new mosque. It may be a grand Jamea or a smaller one in a never heard of neighborhood. The difference it made to my children? They want to explore new places and appreciate small and older architecture. They are more friendly and confident around people too. Have fun exploring your city. Take the kids on a road trip to the closest city. This summer we discovered Rayees al Abyad on the way to Yanbu. White beaches and fishing! 6. Splash in water… even if it is just in the bath tub. Everyday. There are so many ways to play with water but did you know that playing with water can actually be good for your child’s senses? I have personally found that it helps children calm down and express themselves better. It also helps calm fears. Being summer, it is a good idea to let children shower daily. If you can find a swimming pool for them to splash in, that’s much better but if you can’t there is always corniche! Take your child to the beach and let them play with the sand and water. Buy them a sand play set because building castles and excavating with a bulldozer is so much more fun with the right tools. Let them feel the sand on their hand and splash in the water. You can also let them blow bubbles at home or outside. I let my kids blow bubbles out of the window or in the bathroom while having their bath. Get a squirt gun and enjoy some target practicing. 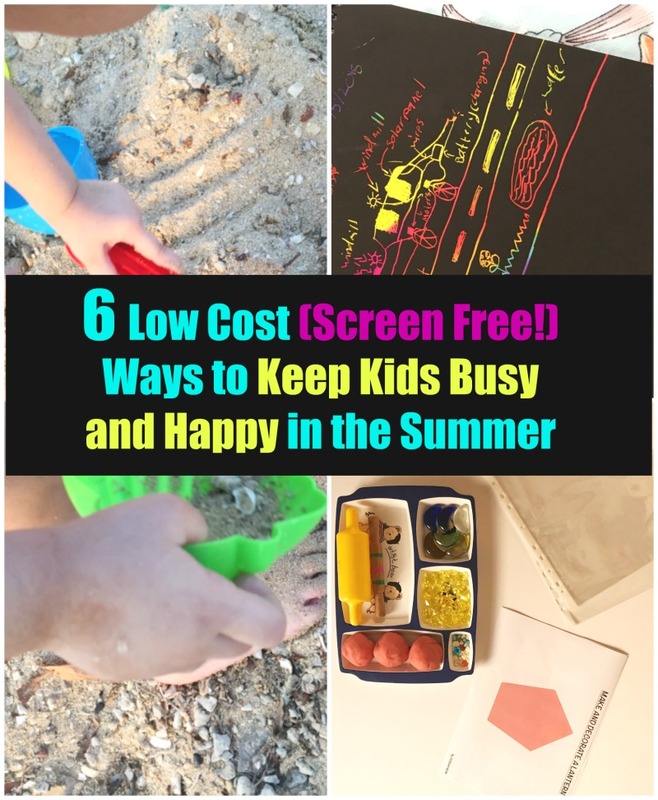 These are just 5 ways to enjoy the summer with the kids. If you need the exact Summer schedule that I am using for my kids. Click to read this post. Have different aged children? See ideas here for babies and mixed age children. I hope these idea were helpful. Share with us how you are planning the Summer. “The game changer in our home was when we started using the term ‘family contribution’ for the word chores.” Great choice of words. Also, personally I find if a group of friends have the same aged children, it is nice to plan a craft days while rotating homes. It adds excitement. Also, it gives chance for running errands the day the crafts are in someone else’s home.